I love to read, and I love libraries. I can just barrow a book? For free? That's awesome! This week saw me making multiple trips to multiple libraries. Little Free Library. If you don't know about Little Free Library, then you should check it out. It is basically a free book exchange. Take a book. Leave a book. Simple. I pretty much love it, as it helps promote literacy. It is also usually a really adorable little house. Every now and then I discover one in my neighborhood that I didn't know about, and I'm always happy to find them. My most recent discovery was during yesterday afternoon's run. The Chicago Cultural Center. I love the Chicago Cultural Center! It is an absolutely gorgeous building, and there are always great free events and art exhibits to enjoy. If the weather isn't great, then I'll use my work breaks to wander around the cultural center instead of the park. Construction was completed in 1897, and it was Chicago's first central public library. Though no longer a library, there are plenty of reminders of its past scattered throughout the building's beautiful halls. Library books. Sometimes, my library books make me a little sad, usually when I have to return them. 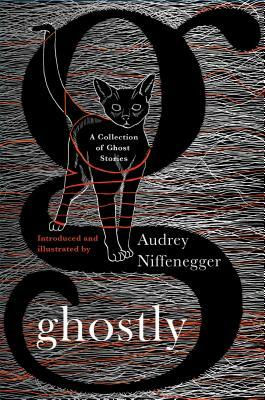 Ghostly was fantastic, and I wish I could have read some of the stories multiple times, but its due date was drawing near, so I made a stop at my local library branch this morning to return it.